MSAB, LLC. specializes in commercial and residential construction, remodeling, roofing, repairs, electrical, painting, and gutters. We have over 30 years of construction experience with many projects throughout Middle Georgia and in surrounding areas. From simple cement paving to complete remodels and new construction homes, no project is too large for us. We know that understanding your needs is important, so combining that with our detailed management, superior teamwork as well as hands-on building and remodeling skills, your project is always delivered with care, craftsmanship and stability that will last at a price that is affordable to you. MSAB, LLC. is located at 4993 Russell Pkwy, Suite 580 in Warner Robins, GA 31088. Our office hours are Mon – Fri from 8AM – 6PM. MSAB, LLC is a Middle Georgia based woman-owned and operated business that specializes in remodel, electrical, painting, roofing, and management of commercial and residential construction. As an organization which represents women business owners, we have within our ranks Republicans, Democrats and Independents, liberals, conservatives and every variety of opinion. We urge and encourage our members to become involved and politically active as their consciences dictate, but these members do not speak for the organization or for its positions. OSHA is the Occupational Safety and Health Administration and is responsible for worker safety and health protection. Since its inception in 1970, OSHA has cut the work-fatality rate by more than half, reduced the overall injury and illness rates in industries where OSHA has concentrated its attention, virtually eliminated brown lung disease in the textile industry and reduced trenching and excavation fatalities by 35 percent. OSHA is administered through the Department of Labor (DOL). The DOL regulates and enforces more than 180 federal laws. These mandates and the regulations that implement them cover many workplace activities for about 10 million employers and 125 million workers. 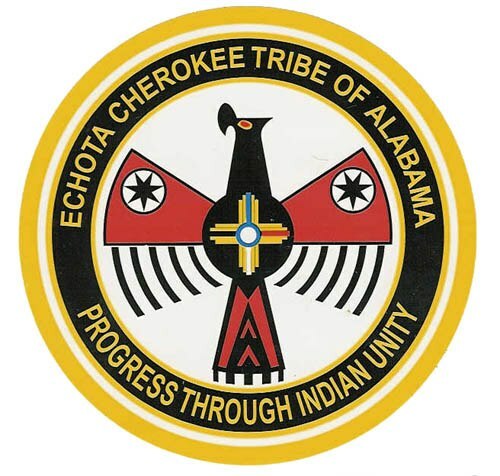 The Echota Cherokee Tribe of Alabama is a state-recognized Native American heritage group based in northern Alabama. It was among the first seven organizations to be granted state recognition under the laws of the state of Alabama in 1984.